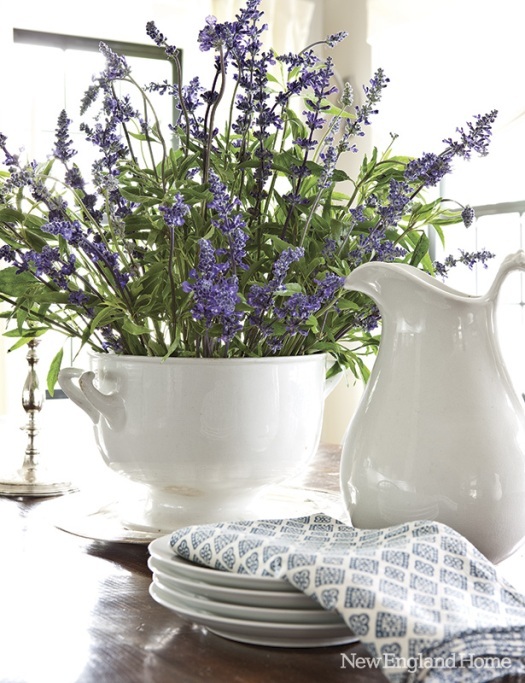 New England Homes Magazine has been killing me with fabulous lately! Not that they don't always have an amazing line up of inspiration from the East Coast, but it's just been extra delightful. 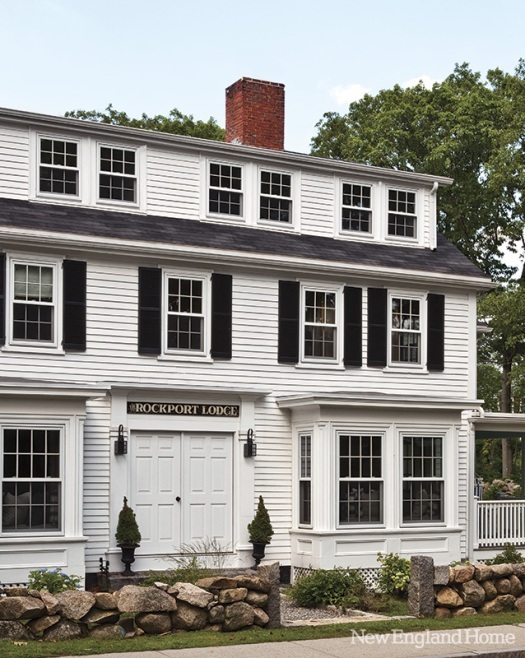 This breezy summer home has a great history that the homeowners wanted to preserve. A wonderful little story that dates back to 1907, and includes some time providing lodging for single working women. So with the help of her best friend, who happens to be the brilliant Interior Designer Amy Meier, the homeowner set out to do their retreat some justice. 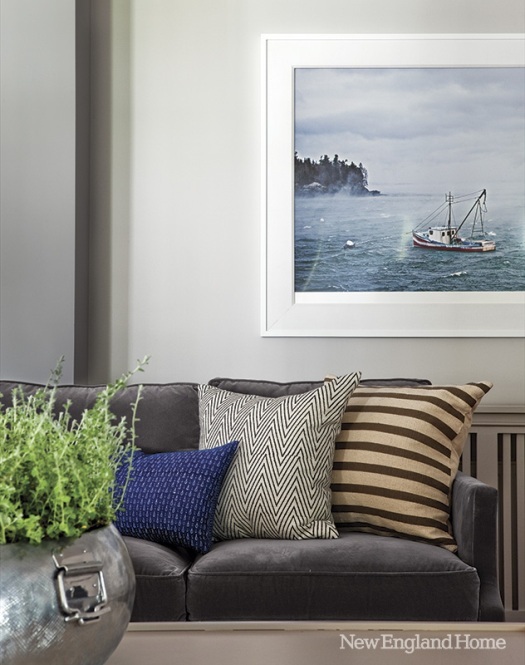 Plenty of New England gray, complimented by a mix of traditional and modern, and of course iconic classics. 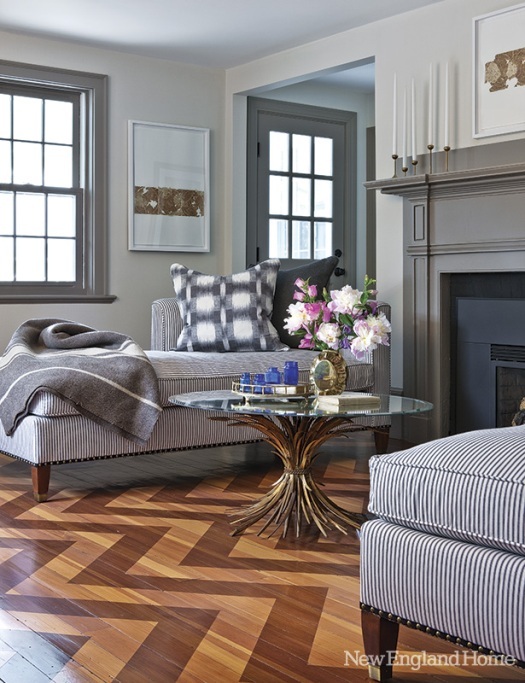 For a dose of personality; hand painted chevrons on the hardwood flooring, a dramatic look I just adore.